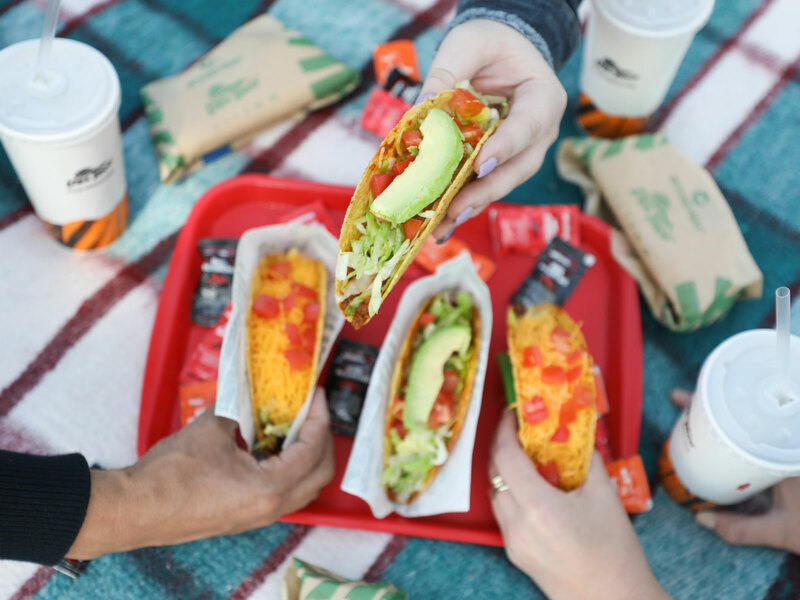 When Taco Night is calling your name, but eating healthy is important to you, it's easy to substitute traditional tacos for a salad without losing any of that great flavor. To help keep the tortillas in the shape of a bowl, keep the ramekins on the pan when you flip the tortillas over, and use them as supports to help prop up the tortilla bowls. This healthier take on taco night features lots of hearty greens and veggies to compliment the chicken. Rated 5 stars by our users, this quick and easy Mexican taco salad will become your go-to weeknight recipe to please the whole family. This tropical taco salad brings in seafood and fresh mango cubes for a flavor vacation like no other. 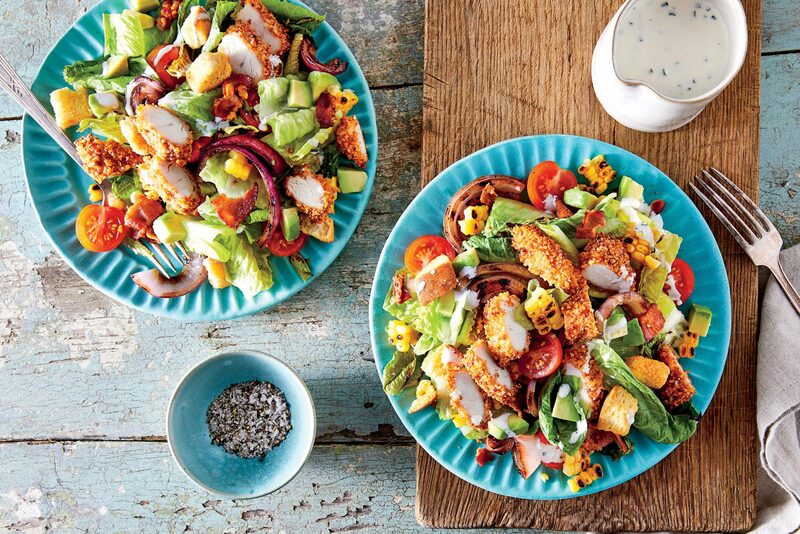 Nothing short of spicy, the Chipotle Dressing packs a punch in Chopped Chicken Taco Salad. If you prefer a milder dressing in this main-dish salad, tame the heat by using less adobo sauce. For more fire, add more sauce 1 teaspoon at a time. 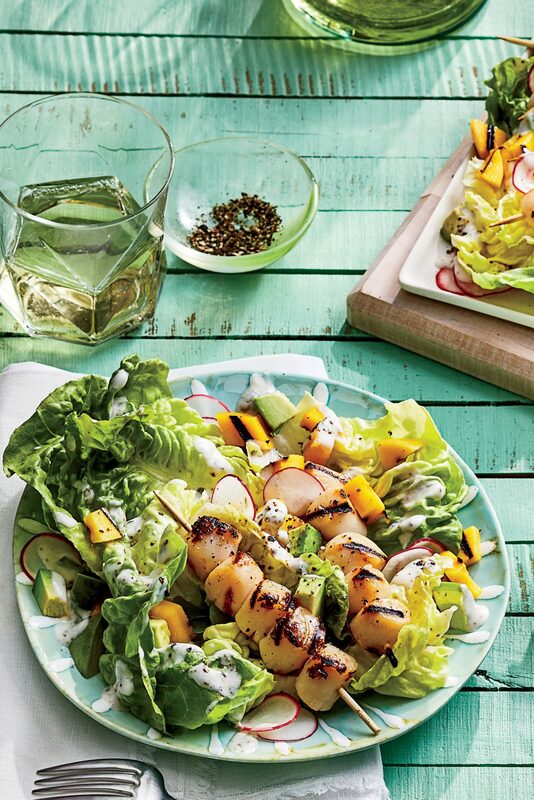 An ice-cold beer is all you need to complete the meal with this main-dish salad that's topped with a zesty cilantro-lime dressing. The mushrooms add meaty texture and flavor. Try rolling up the salad mixture in iceberg lettuce leaves for a quick-and-easy variation. 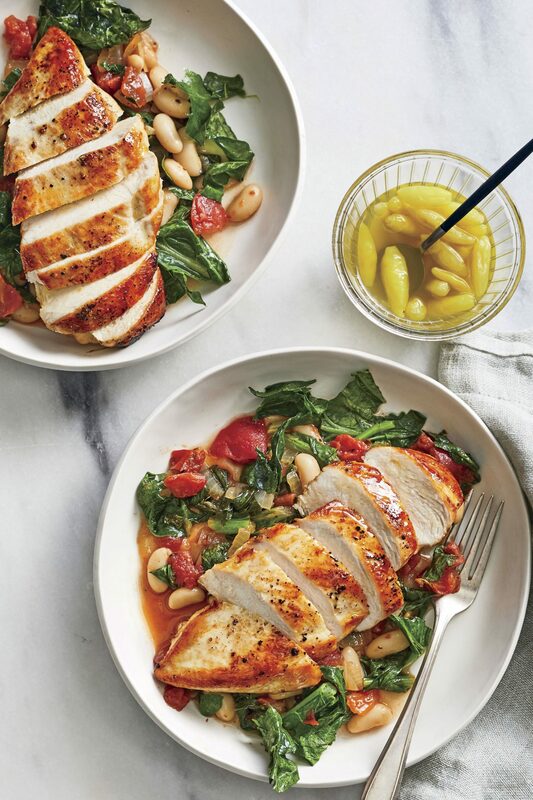 Make this spicy, no-cook dinner in less than 30 minutes. Notes: Up to 1 day ahead, shred lettuce (chill airtight) and make tortilla whiskers (store airtight at room temperature). We suggest assembling all the ingredients first and tossing them just before serving to keep the lettuce and chips crisp. Serve pineapple sherbet for dessert. Save time by serving in large bowls instead of making your own tortilla shells. Plenty of greens make this salad a guilt-free meal with incredible flavors.